One of the world's great cities, Sydney is the prosperous and multicultural home of 5.1 million people1. Famous for its high quality of life, Sydney is Australia's principal business and financial hub and leads the country in a range of sectors, including the digital economy, manufacturing, professional services, research and education, and tourism. Sydney's central business district is situated in the city's heart, alongside the iconic Sydney Opera House and Harbour Bridge. Other major business centres are dispersed around the city, including North Sydney and Macquarie Park to the north, Parramatta in the west and industrial hubs in and around the city's south. Sydney's residents balance a dedicated work ethic and often long hours with an open office culture and lively after-hours socialising. In addition to high-value jobs, Sydney offers sunny beaches, spacious parks, a rich cultural calendar, a thriving hospitality scene and welcoming locals. Sydney has a vibrant coastal culture, rich with art, dining, entertainment, festivals, shopping and outdoor activities. 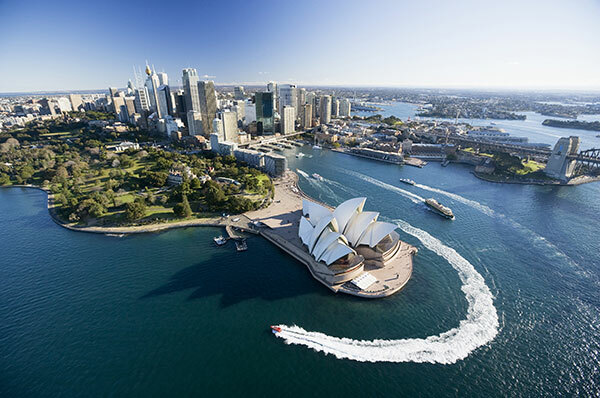 The 2012 Mercer Worldwide Quality of Living Survey ranks Sydney 10 out of 221 cities, offering a safe environment with excellent education, health care and telecommunications. The city covers 12,368 square kilometres – an area larger than Hong Kong, London and Singapore – and is comprised of 500 diverse suburbs. Temporary and permanent accommodation is available in apartments and houses, from bustling inner-city communities to quiet leafy neighbourhoods. More than one-third of Sydney's population was born overseas, and over 200 languages are spoken in the city, making it truly multicultural. Sydney is ranked as the sixth best city in the world for students, with the University of Sydney and the University of New South Wales both in the world's top 100 universities. Sydney is Australia's finance and business hub and leads the country in multiple industries. These include the digital economy, manufacturing, professional services, research and education, and tourism. The city is a globally competitive and prosperous business centre, and its employees have a reputation for combining hard work with a friendly office culture and balancing dedicated work hours with after-hours socialising. It has the fifth highest net wages in the world – ahead of London and nearly equal to New York – according to a 2012 UBS comparison of city prices and salaries. A truly international city, Sydney houses the regional headquarters of over 600 blue-chip multinationals. More than 90 per cent of international banks operating in Australia are headquartered in the city, as are over 60 per cent of the country's ICT regional headquarters and operations centres. Sydney has a robust economy, larger than those of Hong Kong, Malaysia and Singapore. It has enjoyed 22 years of consecutive growth and continues to offer strategic career opportunities for workers, proprietors and investors. The NSW Government is housed in Sydney and carries AAA credit ratings from Standard & Poor's and Moody's, a testament to the state's strong financial performance and ability to withstand changing economic circumstances.